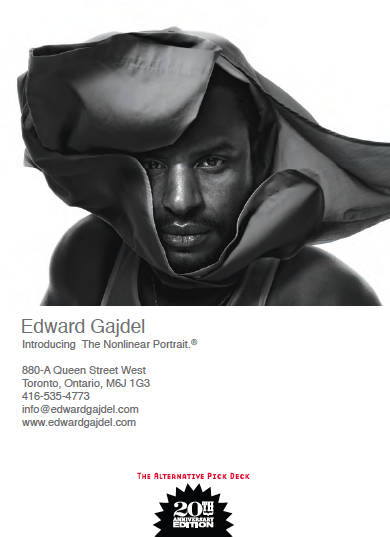 Edward Gajdel is considered by many to be Canada’s preeminent portrait photographer. 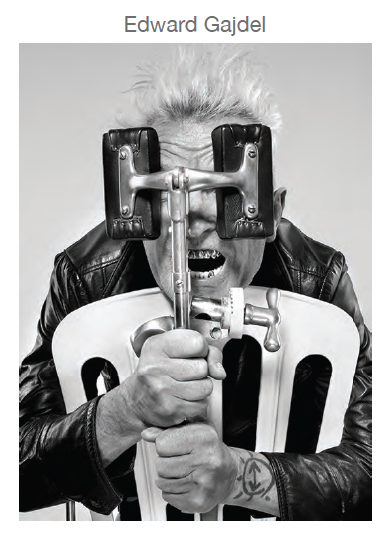 His portfolio spans 35 years and includes icons in the worlds of politics, business and entertainment. His work has been published in scores of prestigious photography journals and magazines. We are honored to have Edward be a part of the 20th Anniversary of The Alternative Pick- Deck Edition. “A portrait is great when it reflects something nobel. There is incredible power in a moment and a photograph is incredible evidence of that.” As Gajdel moves to bring the tools of sound, stills and motion together, he taps into a deeper, richer experience of the his subject’s persona. Evolving the idea of The Portrait; the process, the meaning and it’s relevance today, Gajdel’s essence of his work is renewal. See more of Edward Gajdel’s work on his website and Altpick page. This entry was posted in Altpick, Photography, The Alternative Pick Deck and tagged Edward Gajdel, Motion, Nonlinear Portrait, Portraits, Sound, Stills, Toronto. Bookmark the permalink.